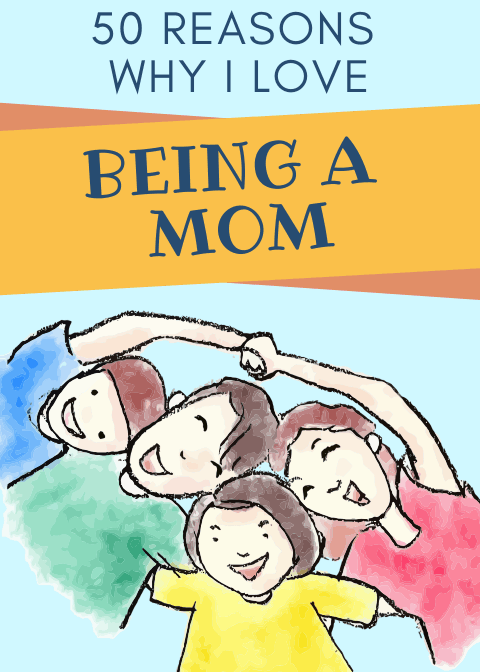 Being a mom can mean so many different things to different people, but the underlining factors are all the same. I was a whole person prior to becoming a mother. That much I know is true. But something changed the day I had my first child. It was almost like I took on a role I knew I was supposed to have from the very beginning. To this very day, I thank my children for “waiting for me”. I actually do it all the time and maybe it’s in half jest and maybe I truly do mean it. When my son and I are snuggling on the couch watching his favorite YouTubers, I find myself whispering in his ear, “Thank you for waiting for me. Thank you for picking me.” He usually brushes me off and asks me to turn up the volume, but I mean what I say – especially to my last baby. You see, I didn’t want a third child. I was perfectly satisfied with two children. I have very difficult pregnancies and to go through a third high-risk pregnancy – which I was sure would include months of hospitalization like my previous pregnancies – was just not something I had an interest in experiencing. You want honest? I’m giving you honest. I didn’t want to go through the emotional battle of childbirth. If you’ve ever had to deal with a doctor telling you that you should abort your baby because the odds of him making it are too slim, then you know what I mean. I just didn’t have it in me to ride that rollercoaster again. But many years later, we decided to try for our third and last baby. And so, I truly do mean it when I tell him, “thank you” because I’m not so sure I would have been as patient. 6 years is a long time to break between children – but that’s how our cookie crumbled. And it’s just perfect! I have a teen, a tween, and a 6-year old. That’s not a toddler, right? What’s the T name for a 6-year old? LOL. So, I am in all the phases of motherhood I can handle at the moment. But being a mom is the greatest gift I have ever received. It was a hard ride to the badge counter, but I’ve superglued that title to my forehead and now I wear it proudly. I probably could come up with a million little things I love about being a mom, but I think 50 will do. For now. For this week. Who knows? Maybe in 6 months time, when my daughter is in high school, I will have an entirely new list. As we wander through the different phases in our lives, we become so many different things – learn so much more about ourselves – experience moments with different lenses. So, here are my 50 reasons why I love being a mom. Your reasons might be entirely different, but this is just a personal stab at this little thing we call life. Watching my kids compete – even if they fail. Seeing them try their best is so rewarding. Clothes shopping. Yeah, I said it. Come at me. Little toes and little noses. Knowing that I’m one hug away from being able to fix anything. The wonderment of it all. Little inquisitors. Muddy weekends – I’m not opposed to them. There’s always a reason to bake a cake. Always a reason to catch the latest Disney/Pixar/Marvel animated flick. School lunch boxes – am I the only one who thinks these are the absolute cutest? Grandma’s house is always open. The constant reminder to stop and slow down. Here’s the thing about being a mom – it is a 24-hour job and that is ON TOP OF YOUR CURRENT LIFE. But children always have a way to make you see how important it is to slow down. Nothing else is more important. I have a reason to do better. It was always for me. It was always to prove some people wrong. But now, it’s to ensure that I give my kids the greatest advantage when I am gone. They’ve shown me that even when I am utterly exhausted, I always have a little bit left in me. To see the way they look at me. To know I am someone’s mom. Also, to understand what that means. When the kids come home from school and they have little projects that they’ve made and they surprise you with the smallest details. It shows that they are watching. Watching your best friend grow up – right before your eyes. All the firsts! We get to experience every NEW thing with our kids and it’s magical. Disney! Need I say more? I have to admit that we are a bit of Disney fanatics here at home and our children are the ones that made us that way. We have gone so many times to the happiest place on Earth and it’s all because we wanted to bring joy to our little ones’ lives. They are so funny. Kids say the darndest things. They constantly try to copy us – all the time. And I just love that about them. They’ve given me a truly powerful lesson – that I am a good mom. A good person. Sometimes you don’t see that until people see that in you. The way they play with each other. I love watching siblings interact. Our funny family jokes – even the ones that aren’t funny. Being a mom offers you the power of perspective. As much as we teach our children, I think they teach us 100 times more. Play dates rock! Am I right? Playing dress up is always a treat. Have you seen a trend about me and clothes? I feel complete after having my children. There is no other way to put it. And like I mentioned above, I didn’t know that I wasn’t until after I had Natalie. But after having all three of my children, and knowing that I am done with baby making, I feel whole. The chapter is closed. My shop is full. The house is thriving and the sun is shining on our faces. Being a mom means so many things to me – but feeling whole is probably most important. Sometimes, when you are someone who is broken, you never think you can heal. And by no means am I completely fixed, but my children act as a blanket on days when my soul needs some warmth. They are my reason for… everything. Those are my 50 reasons why I love being a mom. Do you have any that you’d like to share? Would love to hear!